I’ll be moving from Los Angeles to Dallas in a month and would love to celebrate with all of the wonderful people that I’ve met along my journey here in LA before I leave. If you’ve seen my work grow throughout the years and missed a chance to purchase them, now’s the time. I’ll have pieces from each season available for you. Purchase $10 or more to enter a raffle for an original at the end of the night! 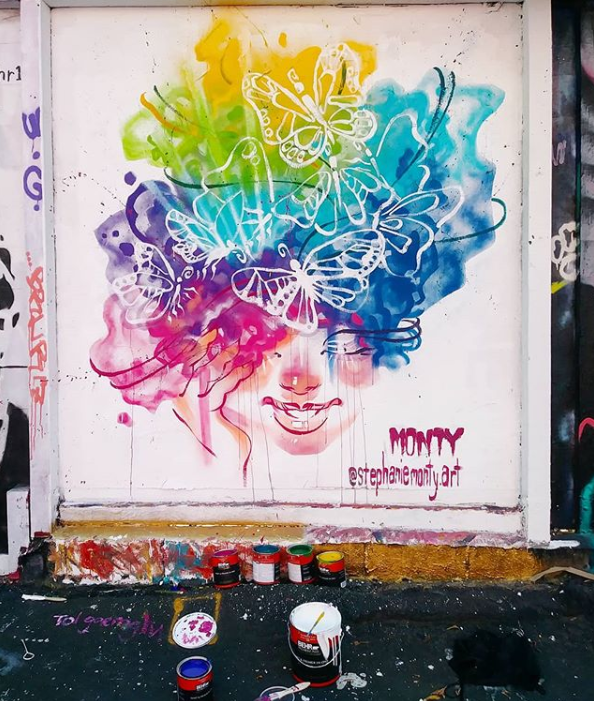 In this summertime mural, you can see a woman bursting into butterflies with excitement. You can still see her in the Fame Yard on the corner of Melrose and Fairfax. Between spaces of overgrown weeds and old, piled cars there was a peaceful clearing. And that is where the meditation of this playfully ethereal goddess takes place. 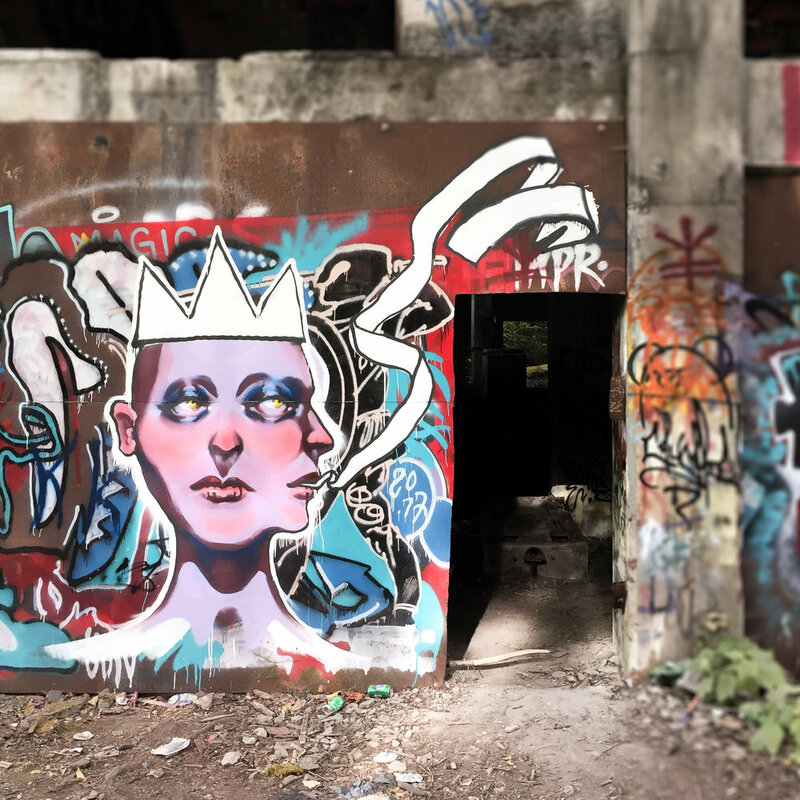 In the midst of an abandoned concrete factory in northern Washington, this piece was created as a contribution to the eeriness of the surrounding energy. Using both acrylic and spray paint, this "Queen of the Underworld" was painted at the entrance of the space as either a blessing or a curse for all those that walked through.